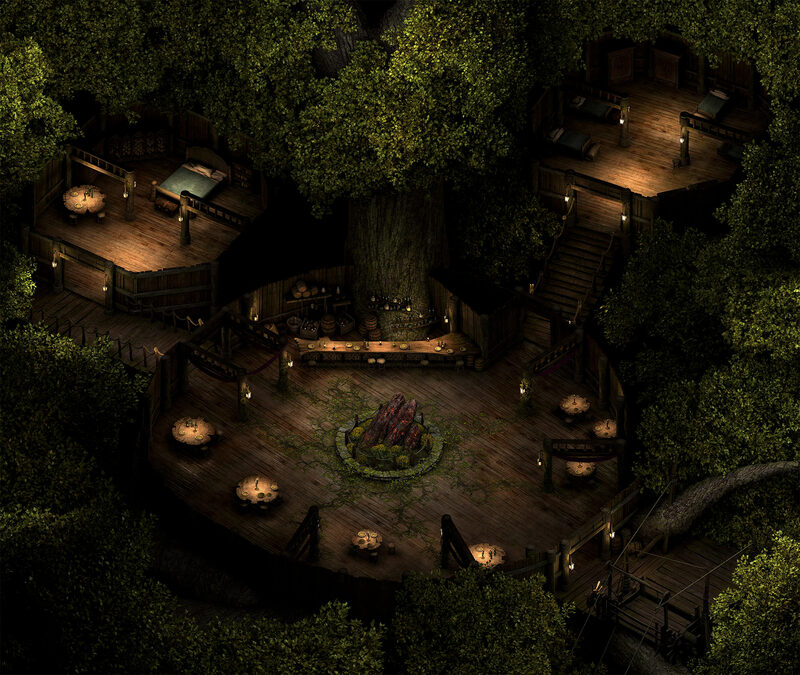 After a three week hiatus, Pillars of Eternity is back with a hefty new Kickstarter update. You may recall that in Update #71, Obsidian asked people to vote on which pair of classes would be formally introduced next. Well, the winning pair were "The Mob Rulers" - Wizards and Druids. 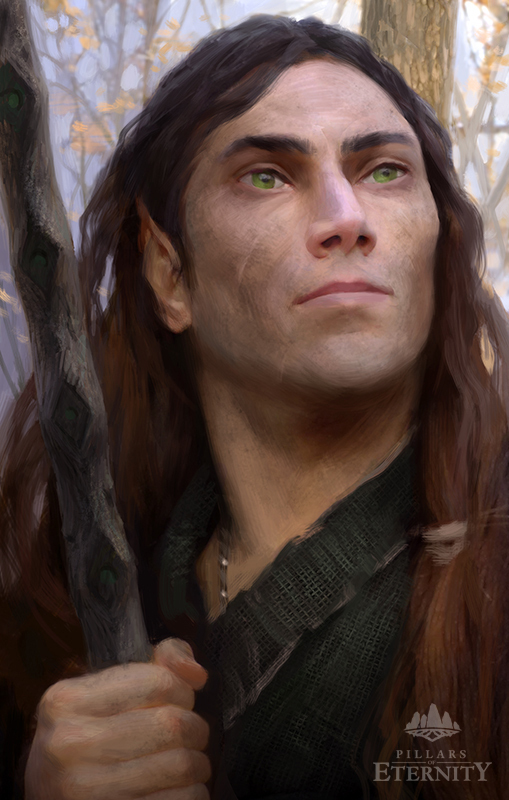 Here's the update's description of the two classes, with an accompanying video in which Josh Sawyer describes some of their spells and abilities in further detail. Check out the full update for a larger list of those spells. While neither wizards nor druids are restricted to offensive spells that target groups or areas, they excel in that arena. Whether it's dishing out elemental damage or inflicting status effects on enemies, both classes have a wide variety of spells to whittle down the hordes. Rangers and rogues are the kings of single-target takedowns, but the mob rulers exist to soften up, slow down, hinder, or otherwise mess up groups of enemies. Both classes focus heavily on spellcasters, but they have slightly different mechanics to how they work. Together with priests, wizards and druids are the "traditional" spellcasting classes that can cast a certain number of spells of each level per rest. As they gain levels in their classes, they can access more powerful spells. Over time, their weakest per-rest spells become per-encounter spells. At very high levels, the weakest spells eventually become at-will abilities, capable of being cast indefinitely. Wizards are researchers and experimenters. Like animancers, their understanding of the spirit world and soul energy is technical and scientific. For this reasons, wizards have a skill focus in both Lore and Mechanics. Also like animancers, wizards rely on special tools to achieve their effects. Specifically, wizards use grimoires, arcane books made with rare materials that can absorb and temporarily hold fragments of ambient soul energy. Unlike priests and druids, wizards do not personally shape the magic that is released. Instead, their grimoires' spell pages do most of the work. The wizard's specialty is in understanding how to help the magic flow in and out of the grimoire without going haywire. As wizards continue to research, more spells are created every year. Some spells remain in the private collections of individual wizards while others see widespread distribution and can be found in grimoires all over the known world. In game terms, all wizards start with a single grimoire. Even as big as they are, grimoires can only hold a set number of spells from each level. Wizards have the potential to access many more spells than priests or druids, but that potential is restricted by what a grimoire can hold. As a result, experienced wizards carry multiple grimoires with subsets of spells to handle different situations. Grimoires can be switched during combat, but there is an opportunity cost to doing so -- the new grimoire needs to attune itself to the wizard for several seconds before its spells can be used. Outside of combat, wizards can outfit their grimoires with any spells that they have learned. If they come across a spell in an enemy's grimoire, they can choose to learn that spell for the cost (in copper pieces) required to research it. As a result of their varied studies, wizards have access to both "meat and potatoes" spells and more eccentric effects. They excel at area attacks, but also have a healthy number of spells for personal defense and more than a few oddballs in the mix. Occasionally, wizards become known for a particular spell or family of spells that they've invented and their names are inexorably linked with their contributions to magical research. [...] In addition to their per-rest spells, all wizards have two basic abilities that serve them well: Blast and Arcane Veil. Blast allows wands, scepters, and wands wielded by wizards to do a small amount of foe-only damage in a small radius around their target. Arcane Veil is an instantaneous ability that dramatically raises the wizard's Deflection for a few moments. Its one weakness is firearms; the Arcane Veil is not able to react to the speed of a bullet before it passes through. Druids are animists, drawing power through the webs they believe connect all living souls in the world. When not casting spells and transforming into mythical beasts, druids spend a great deal of time in nature, giving them skill foci in Athletics and Survival. Much like priests, druids draw ambient fragments of soul energy toward them and shape their effects through practiced concentration. While druids do not have the diverse spell repertoire of wizards, they have more than enough to handle most problems that come their way. Druids' spells often take the form of natural phenomena -- storms, coiling plants, rapid decay -- to reflect their primal connection to the world. Despite their heavily-offensive nature, they do have a few defensive and healing spells to aid their allies. [...] In addition to their spells, druids have two base abilities that assist them in dealing with single targets. At character creation, players select a damage type for their Wildstrike passive ability. Wildstrike adds a small secondary amount of damage to all damage-dealing attacks that the druid makes. But that's not all! 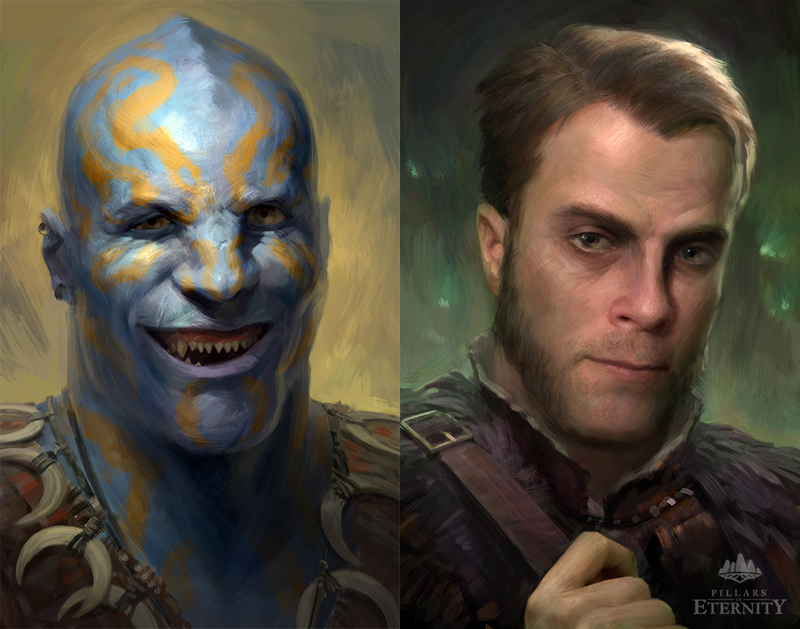 The update also has a bunch of images, including a screenshot and several backer portraits. The most interesting part, however, is the announcement of Pillars' inevitable distribution deal. Obsidian have chosen to partner with Paradox Interactive to distribute their game. To ward off potential butthurt from backers (OMG PUBLISHER) they've also written a FAQ explaining what it's all about.